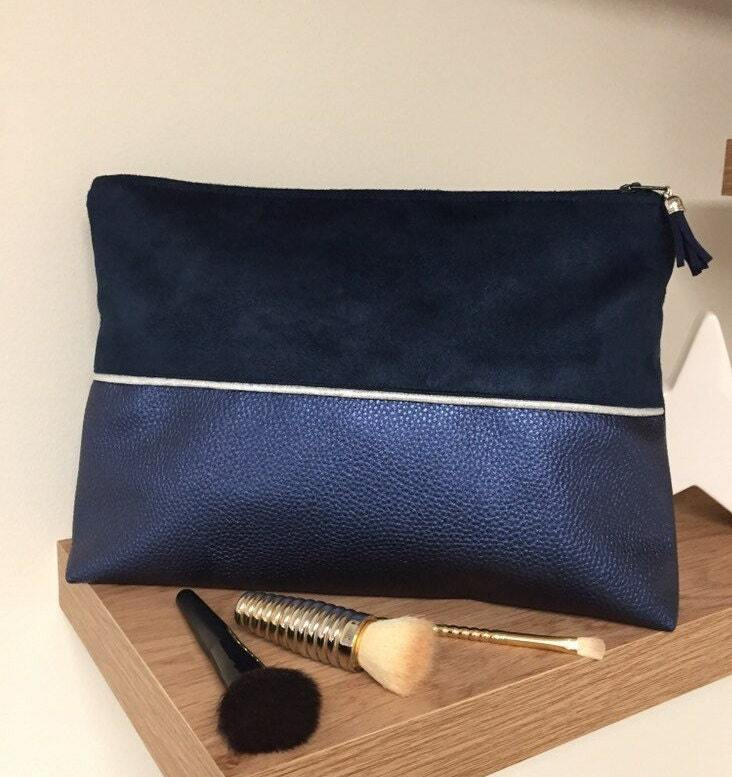 Make-up bag, Toilet bag, Women's cosmetics bag in navy blue suede and iridescent imitation leather with contrasting silver trim. The inside of the pocket is entirely lined with a pretty navy blue cotton fabric with small white dots, flocked "Lesfilsdisa" silver plated. A navy blue suede tassel adorns the zipper slider. Its dimensions: height 20cm, length 28cm, thickness of the bottom 5cm. You will receive your bag with a tracking number, nicely wrapped and well protected, ready to offer! Many many thanks for the perfect transaction !!! !